Does the thought of traveling with a toddler make you tremble a little in your boots? 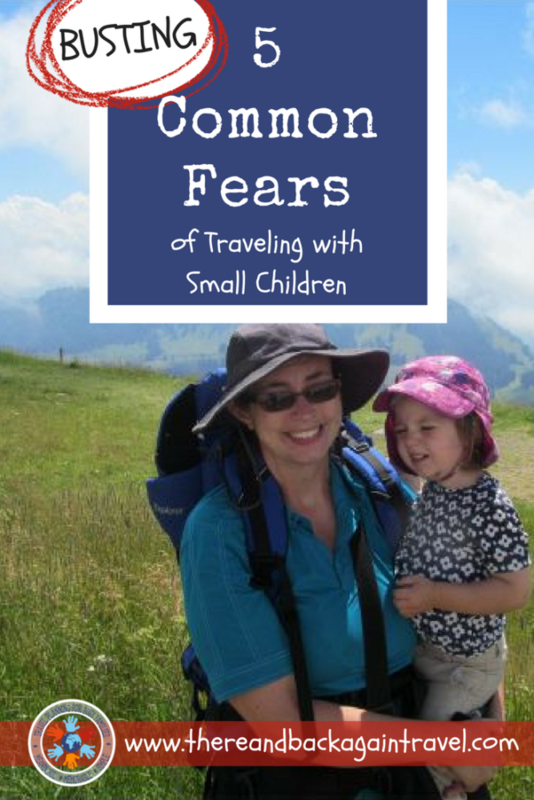 If you have fears and doubts about traveling with small kids, you are not alone. If you enjoy this piece, here are some other pieces about traveling with a toddler to help and inspire you to travel with your kids! We have already been a few far away places with our kids, and I am facing down those fears again when thinking about the commitment that I have made to taking 12 family trips with the kids in the next 12 months. 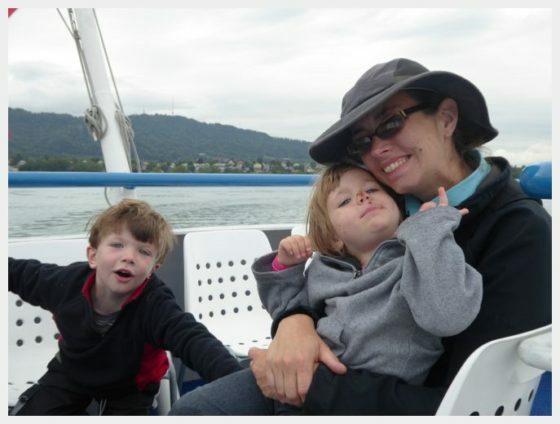 My brain knows how important travel with young children can be for their development. My heart still trembles a little when thinking about hauling all of the stuff and all of the work that is involved in traveling with kids (especially considering that my husband who serves as chief Sherpa and backup kid wrangler won’t be able to go with us on all of these adventures). 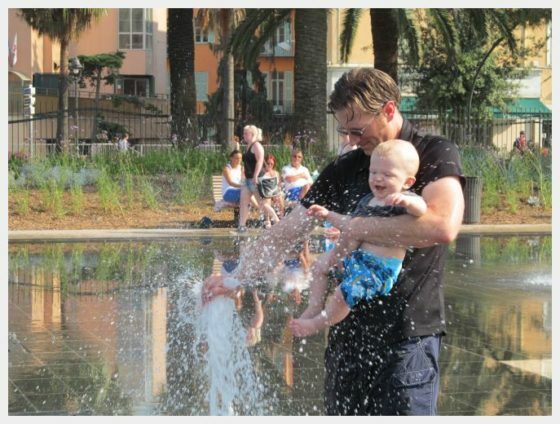 …but traveling with a toddler or infant is SO HARD! 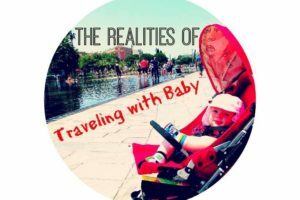 The logistics of traveling with a toddler or infant are a little more complicated than when it was just you (and there is just NO getting over the fact that you will inevitably have more stuff with you!) You probably won’t get to see as much, but you can still share amazing adventures with your little ones that you will remember forever! Break it down and take one day and one step at a time, it might not feel so overwhelming. First, get everyone from the airport to the rental car. THEN get settled into the hotel. THEN tackle dinner. ONE STEP AT A TIME! When traveling with kids, it is SUPER important to plan for downtime for EVERYONE, including parents. This means that you need to look for those spots where you can just sit and let the kids just be a little bit, like a park other safe, open space. Plan at least one of these into each day. 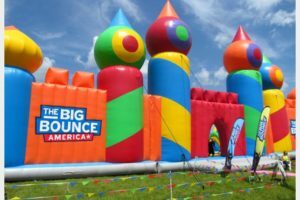 We like to tackle the big destination of the day in the morning after breakfast when everyone is fresh, and save the afternoon time for less structured activities like parks and hiking where the kiddos can cut loose a little bit. We almost never plan more than one major activity/destination in a single day with our toddlers. This will probably change as they get older, but everything takes so much longer than we think it will right now. Trying to stuff too much into one day is a recipe for disaster or disappointment! Planning your travel this way will make traveling with kids easier and less stressful. It’s Not that Much Different Than Being At Home, Right? If you are still feeling freaked out, think about it this way. You take your kids out and about when you are at home, right? To the mall, to the store…all sorts of places. It isn’t easy, but it isn’t impossible either. You manage, you have a system figured out, and you just make it happen. Traveling with kids will not be as hard as you make it out to be in your mind. Of course, travel with kids is hard, but it is human nature to focus more on the parts of the upcoming experience that are likely to be less positive. What About All of Those Glares on the Airplane? 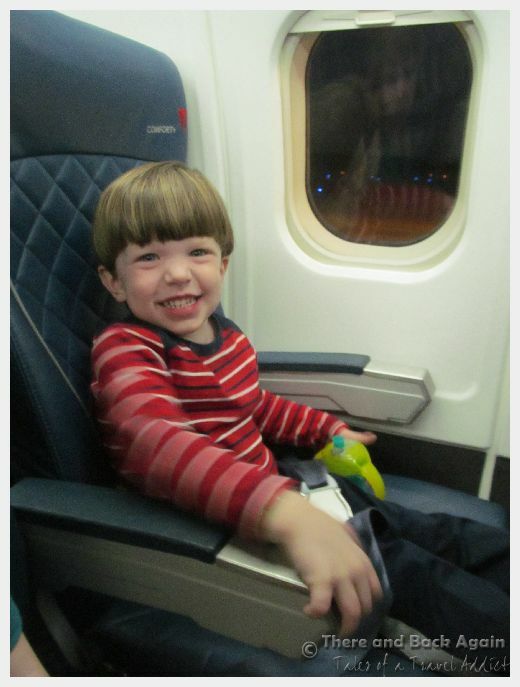 Another fear that I think a lot of people have is about traveling with a toddler in a plane. What will happen if their toddler has a melt down on the airplane? The fear of all of those judgmental eyes staring at you, wondering if you are coming to sit next to them and breathing a sigh of relief when you continue on down the aisle is common to many parents is enough to deter many parents from flying with a toddler. I won’t lie to you. We have had come across a few awfully crabby people on the airplane. People who glared at us at the mere sight of our toddlers (when they weren’t even causing any commotion). Don’t let this scare you. We have also come across hundreds upon hundreds of great folks who did not cringe when they saw that we were flying with a toddler. Folks who offered help when they saw my hands were full trying to fold my stroller up with a 3 year old clinging to my legs. Lots of folks who smiled and played little games with out kiddos as we walked up and down the aisles while traveling with toddlers on long haul flights to pass the time. If worse comes to worse and the flight is a disaster (which it won’t be…remember, it will almost never be as bad as you fear), just remember that you will more than likely NEVER see any of those people again. In the grand scheme of things, even the crabby people will probably forget about you shortly after you part ways and exit the airplane. Not a big deal. Traveling a toddler gets progressively easier each time you do it. Slowly, the routines of travel become more normal to the kids and (maybe more importantly) they get older. The gargantuan effort of getting out and about and seeing the world with your little ones slowly lessens. 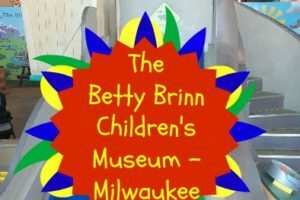 Sometimes, we make big leaps from trip to trip and sometimes the change is so imperceptible as to hardly be noticed, but one day we will all realize that traveling with the kiddos no longer strikes fear in our hearts the way it used to. I promise. Worrying that the extra efforts spent in traveling with an or toddler will be a waste of time because your kids won’t remember it? This is a less palpable fear than the others, but one that deters many people from taking opportunities to make adventures with their kids. Sometimes this thought comes from our own minds and sometimes it is imposed on us by well meaning friends and relatives. Go ahead and put that worry right out of your brain. Travel is SO beneficial to kids whether they remember it or not (and they remember SO much more than you might realize.) Travel has real benefits to your children’s mental and emotional development. We would do anything for our kids, right? Travel is one of those experiences that can really shape and influence their lives in a profound way. Tell me in the comments what is the trip traveling with a toddler that you want to take with your little one? Is there anything that I can do to help you get there? Hey Shanna great post! I totally agree with you.It is really hard to travel with a toddler. But there is always some fun too. I have three disturbing guys, Abby, David and Rubby! When My hubby and I go to travel with them I really enjoy what they do although sometimes they do some work you don’t want during travel. Jesica recently posted..Best Home Elliptical Trainers Reviews For 2018 – Top Models Compared!